The All-inclusive Resort vacation is a fascinating concept that evolved over the years after being pioneered by Club Med in the 1950´s. It was started in the Caribbean and expanded to Mexico, Europe and Asia. Cruise lines have also adopted the concept with meals being included initially, but now it is possible to upgrade the package to include alcoholic or other beverages. In Mexico, all-inclusive packages can start from as low as US $50 per person per day and can go up to US $400 at luxury resorts which have also adopted the concept. The packages include lodging, food, drinks, accommodation, activities and entertainment. The average stay is seven days which allows the resort to control costs since most guests tend to eat and drink more in the first three days. There is no stressful budgeting involved as most expenses have already been paid. Kids are free to eat an ice-cream or drink a soda anytime throughout the day. When in a foreign country, it can be challenging to know when and how much to tip. Most resorts include tips and gratuities in the price. Parents have less stress about where to eat and what activities to offer the kids as most resorts have kids or teen clubs. Some resorts are also enhancing their facilities to include a water park, indoor rock climbing, a skateboard park etc. not otherwise try such as using a high-end spa on the property, taking more tours or renting a car to visit local attractions. They spend more money, but have a much better vacation. In the last ten years, the growth in the all-inclusive resort sector has been incredible, so the market is very competitive and travellers benefit as a result. On the developer side, the all-inclusive concept is much more lucrative than is the care involved with a regular hotel. Clients have pre-paid ALL their meals while at a regular hotel they are likely to eat frequently at another location. Clients spend more money at the spa, the resort’s boutique store(s) and the on-site travel agency. Every time clients book a tour, not only does it provide an income but while on tour they are not eating, drinking or using resort amenities, thus allowing for further savings. Most all-inclusive resorts have their own vacation club and have been very creative in offering membership with a discount or all-inclusive ownership for a fixed number of years. This is a good value for the client, with different packages offering a range of inclusions such as access to golf courses, fishing and yachting. It is an excellent incentive for your owners to return frequently and gives you a big upgrade opportunity. In my opinion, this has boosted the industry tremendously in the last decade. Your client spends more time on the property and spends more money on the spa, golf, fishing, etc. In Mexico, the prime clients of most resorts come from the USA or Canada. Initially they were a little reluctant to embrace the concept as they were not familiar with it at home. Over the years, they have become used to it and the majority love having everything in one place with it all pre-paid. Resorts in Mexico have been particularly creative with a diverse range of dining styles; some have adult only sections and many provide live bands etc. An example of an all-inclusive resort, El Cid resorts are very family-oriented with activities and entertainment for all ages. We also offer a range of accommodation sizes and styles from a studio to a 3 bedroom prestige unit, but not forgetting our “swim up” units. El Cid Vacations Club (“ECVC”) is a points-based program providing a right-to-use at many levels of membership. In the future I see even larger all- inclusive resorts, even though they are very big today with most having good rooms. There will be subdivisions within the resort, with the largest section being for standard membership, another for VIP membership and one category for the fractional all-inclusive concept. The high end product is on the rise. Vacation clubs and all-inclusive resorts are in exciting times now but a high level of creativity will be needed to meet the future needs of clients. Mexico is in a very positive position, however, because it can offer high quality service such as twice daily housekeeping service performed with the typical warmth and friendliness of our Mexican staff. 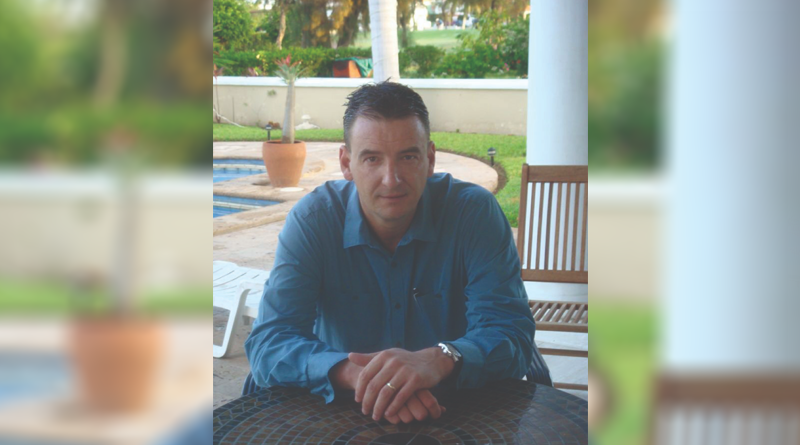 Director of Business Development and Marketing, El Cid Vacations Club, Olivier Citherlet is from Switzerland and came to Mazatlan in 1990 after his study with the purpose of learning Spanish. During his spare time he began working as a promoter for El Cid Resorts, a company where he has been working, ever since. Within three months of starting the job, he was promoted to airport supervisor, a post he held until 2001, when he was again promoted to marketing manager at the company’s Cozumel, QR, location. In 2008 he returned to Mazatlan,was appointed as assistant director of sales and marketing at the national level. In January 2009, he worked for a period of two years as CEO of the Asociación de Desarrolladores de Tiempo Compartido [Developers Association of Timeshare] in Mazatlan. In 2015 he returned to Cancun as director of business development and marketing of El Cid Vacations Club.